In this guide, I show you the main reasons why hackers love the fact that you’re not using a VPN. I also show you why hackers love using a VPN! Most people are familiar with VPNs as something that’s just to unblock censored websites or to keep sensitive business data safe. Then check out my VPN setup tutorial videos to set up your VPN on Firestick, on your router, Windows PC / Mac, Raspberry Pi, and all other Internet devices. 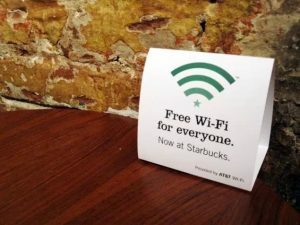 Since everyone at a Starbucks or McDonald’s has access to their free WiFi, this means hackers have access to it as well. A hacker can use a $30 WiFi hacking device to steal all your sensitive data easily at a Starbucks WiFi hot spot (just like I do in the video below). Just watch a few minutes of the hacking demonstration video below that show exactly how it’s done. 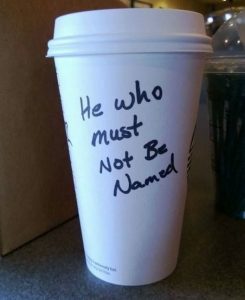 Check out a segment of my YouTube video (above) that shows how easily hackers can steal your data at Starbucks or McDonald’s. I don’t mean to scare you with this video. But you need to know about these things! And you need to protect yourself with a VPN for less than $5/mo with my 60$ off coupon code). If a hacker wants to take control of your Home WiFi Network, they can. It’s like a master car thief wanting to steal a car; simply a matter of time before they get it. But once a hacker takes control of your home WiFi network, they can then use it as their “attack base” from which they carry out cyber-attacks on other victims. This way their identity is concealed and it looks like you’re the hacker (to the authorities, anyway) instead. What does this have to do with using a VPN? If your home WiFi network is not protected with VPN service, then any data sent or received by your Internet connection can be easily traced. Hackers know this – so they would be more inclined to take control of your home WiFi network if they know they can easily “pin you as the target“. You’ve been marked! 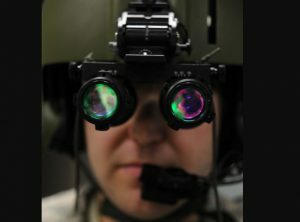 Don’t let this creepy “government guy” see what you’re doing online. Therefore, using a VPN on your home WiFi network makes your data more secure at home. And you’re no longer an “easy target” after you start using VPN service. So, avoid being targeted by hackers and secure your home WiFi network with the most popular VPN on the Internet. 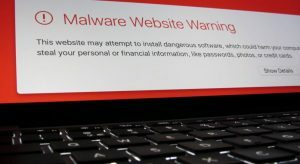 Some hackers set up websites that have malware planted in them. If you click on the wrong thing, this malware can then be installed on your PC. Even if this happens, having a VPN will reduce the likelihood of a hacker gaining total control of your PC and information via website attacks. This is because VPN connections secure your data by constantly encrypting every bit. Don’t let malicious websites take you down with malware; install your VPN now and enjoy the immediate security benefits of using a VPN. To protect yourself from all the threats mentioned above, simply get VPN service for less than $5/mo. Then set up your VPN using the step-by-step tutorial videos below. I made this first video tutorial to show you how to easily set up a VPN on a $25 router from Amazon. Then I made this second video tutorial to demonstrate how to set up your VPN service on a $28 ASUS router from Amazon. When you use a VPN, your online identity is hidden. This is true even for people trying to re-trace your steps. Therefore, hackers love to use VPNs when they perpetrate attacks on their victims because their identity is hidden when they use a VPN. Unfortunately, VPNs (like many things) can be used for good or evil. Hackers will always be there – so we must do our best to provide our own security. This means using top-notch security features like encrypted VPN service. 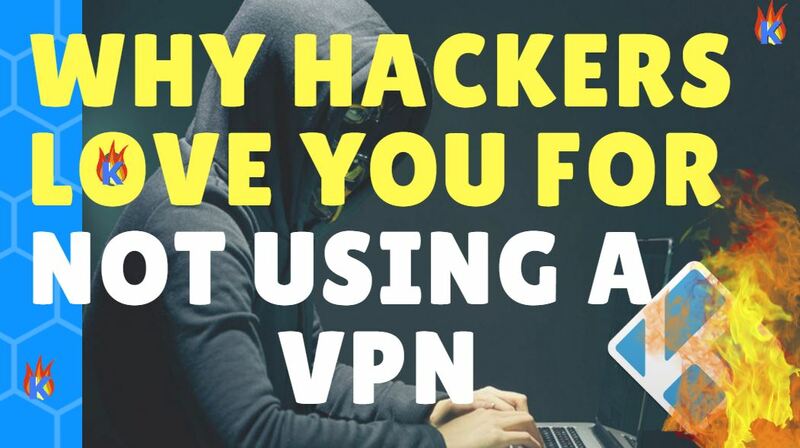 If you found this information useful, you should should my Kodi VPN tutorial video, my Firestick VPN how-to guide, and my How to Hack WiFi at Starbucks video demonstration. Don’t forget to use my 60% off coupon code when you sign up for VPN service! Also check us out on Facebook and YouTube – I post lots of video tutorials on each one regularly!